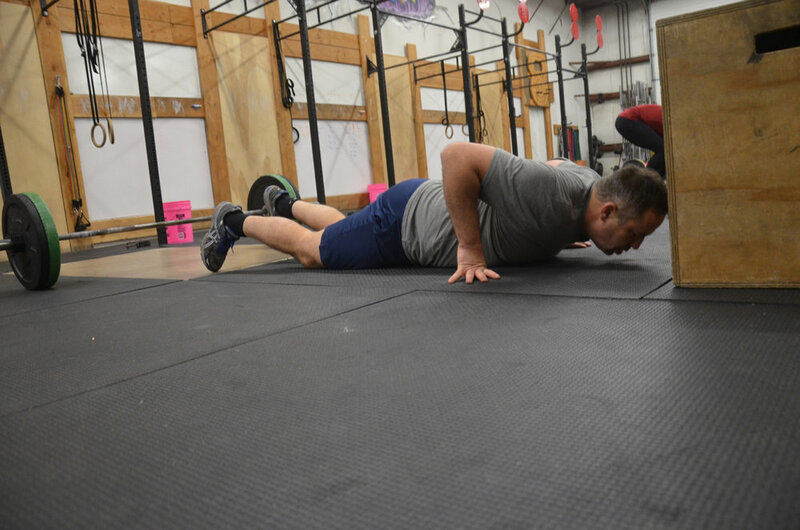 Bob working hard during his Burpee Box Jumps. Always good to see Rob during the holiday season. Gail keeping a great hollow position during her strict pull-ups.